Michael John String Quartet, Michael John Chamber Orchestra, String Trio or Solo Violinist. We provide Classical, Popular or Contempoary music for your Wedding Ceremony, Church service, Church music, Drinks reception, Hotel venue, private or public Function, Corporate Event or Party. Michael John String Quartet, Michael John Chamber Orchestra, our String Trio or Solo Violinist. We play Classical, popular and contemporary music. Are you looking for a Chamber Orchestra, String Quartet, Trio, solo Violinist, or music for your special event? It can be a daunting experience organising the Church music for your Wedding or setting the right tone for a corporate event or drinks reception let us take the hassle out of it for you. Michael John Ryan is married, has two children and lives near Tipperary town, Co. Tipperary, in the heart of Munster, Ireland. He is a graduate of the Cork School of Music where he performed with the Cork School of Music Symphony Orchestra. He was awarded a Danish Government Scholarship and studied at the Royal Danish Conservatory of Muisc, Copenhagen and played with the Conservatory of Music Symphony Orchestra. He participated in the international Kodaly Seminar at the Kodaly Pedagogical Institute of Music, Kekskemet, Hungary, on a Hungarian Government Scholarship. He attended a three year summer graduate course at the University of Calgary, Canada. In 2001 he graduated with an M.A. from the University of Limerick. His performance experience includes Symphony Orchestras, Chamber Groups, Theathre Orchestras and ensembles. Michael John is the Church Organist for St. Michael's Church and St. Michael's Church Choir, Tipperary Town. St. Michael's church Choir is recorded live and broadcasted on Tipperary Mid West Radio every Sunday at 11am. He has conducted the University of Limerick Orchestra for seven seasons and is a member of the teaching staff of the Limerick School of Music. Michael John was the music supervisor for the recordings of Regina Nathan's CD's with the Polish Chamber Philharmonic Orchestra. He is the Director of and also conducts the County Tipperary Ryan Youth Orchestra to learn more please visit the following link Danny Ryan. On Irish TV (SKY channel 191) you can see Michael John Ryan and The County Tipperary Ryan Youth Orchestra play for the Official Opening Concert of the Fleadh Chéoil Thiobraid Árann in the GAA Hall, Golden, Co. Tipperary on Friday 15th May 2015 which was filmed for Irish TV in their programme Tippeary County Matters. Michael John organised the County Tipperary Ryan Youth Orchestra's tour to Hungary in Easter of 2012. TO VIEW MICHAEL JOHN AND THE COUNTY TIPPERARY RYAN YOUTH ORCHESTRA'S HUNGARIAN TELEVISION INTERVIEW PLEASE DOUBLE CLICK ON THE EMBEDDED YOUTUBE CODE DIRECTLY BELOW THIS LINE. Please see below the popular YouTube video of Michael John Ryan conducting the University of Limerick Orchestra with guest soloist Anna Phoebeperforming "Rise of the Warrior" on 7th May 2011. Please see below a link to "YouTube" where Michael John is conducting The University of Limerick Orchestra's performance of the Theme to "Mission Impossible". To book Michael John String Quartet, Michael John Chamber Orchestra, a string trio, or solo violinist for your Wedding or function/event please call Michael John Ryan directly on 00353 (0)877612533, email us on michaeljohnr@eircom.net or simply check out our "Contact Us" page section which is totally stress free. Michael John has played with the Royal Danish Conservatory of Music, Symphony Orchestra for Her Majesty Queen Magaretta of Denmark at the Royal Opera House Copenhagen. On July 8th 2013 Michael John was invited to perform for President Michael D Higgins' Garden Party in Áras an Uachtarain. 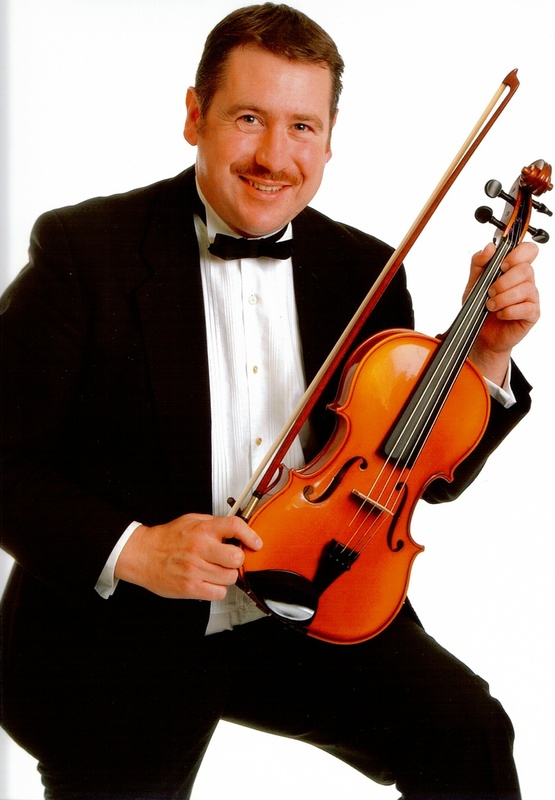 Previously Michael John has played for Irish President Mary Robinson and Irish President Mary McAleese, former Taoiseach Bertie Aherne, Sir Anthony O'Reilly, he played with Will Martin the crossover classical Tenor from NewZeland. In September 2011 he played and accompanied Regina Nathan at the Convention Centre Dublin. Michael John has played for Aer Rianta, the College of Catering Shannon, Tipperary Peace Convention, Shannon Castle Banquets, Cashel Palace and the University of Limerick. He has played with The Vard Sisters and Micheal O'Suilleabhain R.I.P. Michael John has played on numerous sound tracks and recordings and features on Country and Irish Singer Michael English video. Some of Michael John's venues include, Adare Manor, Dromoland Castle, The University Of Limerick, Aherlow House Hotel, Dundrum House Hotel, Kilshane House Hotel, Kinnety Castle, The Great National Ballykisteen Hotel and Golf Club, The Minella Hotel, Clonmel, the Clonmel Park Hotel, Radisson Blu Hotel & Spa to name only a few. Michael John's celebrity client list includes a Coronation Street Wedding, A Cranberries Wedding a veteran Rugby star's event, several International Rugby players weddings one of which was Irish Rugby star Brian O'Driscoll and award winning Irish Actress Amy Hubermann's wedding in 2010. Michael John Chamber Orchestra Since its foundation in early 2012 The Michael John Chamber Orchestra has delighted public and private audiences nationwide with its refreshing approach to performances and the exceptional talent of its musicians. It has accompanied Soprano Regina Nathan on her 'Sacred Classics & Operatic Arias tour. Please see youtube below of Michael John with his Chamber Orchestra playing the Intermezzo from Cavalleria Rusticana by Pietro Mascani in St Canice's Cathedral, Kilkenny City in October 2013. "Dear Michael John, Our Wedding day was made even more special by your beautiful music that was played so wonderfully. It was more amazing and moving than anything we could hav..."
"A short note to personally thank you on behalf of the organising committee, members of the Board and myself for your very kind support and a wonderful performance by yourself an..."
"Michael John and Tipperary Ryan Youth Orchestra, I write to thank you and your family for your participation in our Family Fun Day on Sunday 29th. It was appropriate to have Yo..."
Michael John Ryan conducting the University of Limerick Orchestra Summer Prom Concert May 2006, performing the music to Harry Potter and the Goblet of Fire. Michael John Ryan conducting the University of Limerick Orchestra Summer Prom Concert May, performing the Theme to Mission Impossible in May 2006.